In Short: an economic boost to a community should not remove those from that area, it should provide increases in opportunities for those from that area. WE have learned some hard lessons around the world as Americans in terms of occupying other territories as a foreign power. Lesson 1: locals are quick to turn against you no matter how good your intentions are, and your security is based upon their reception of your presence. In terms of inner cities, we’ve seen countless examples of communities uprooted by economic development rather than uplifted, and in some cases, those developments have been seen as an occupying presence. WE must do something different in order to achieve different results. In my search for a more effective means ensuring that Qualified Opportunity Zones benefit the inhabitants rather than uproot them, I was drawn to a project in Flint, Michigan. 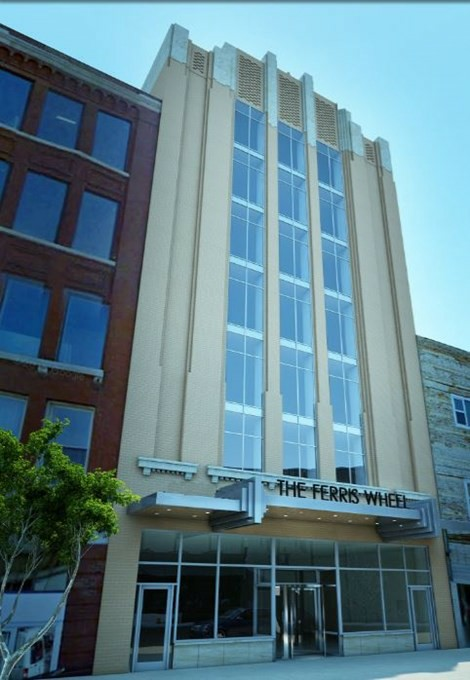 The Ferris Wheel project has become one of that city’s hubs for entrepreneurship and economic growth. One of its main engines is a business incubator located inside that project which takes individuals from business planning stages all the way through to funding and execution. “This is the place where businesses with little capital and big ideas can come to grow,” according to David Ollila, president, and chief innovation officer at Skypoint Ventures, which renovated the building. Upon speaking with Mr. Ollila, I learned first-hand that Skypoint did not plan to wall themselves off from the surrounding community or displace them; rather, their layout was an open-retail space — they sought inclusion — planning from beginning to work within the surrounding community, tapping into them as an economic resource for not just ideas, but fundamental growth. As a result, they have achieved not just economic security but security in general — the reception of their presence is clearly positive. In short: we as opportunity fund managers must tap into community resources and make use of methods that other’s like the Skypoint have successfully deployed. Jessica Contreras is the Co-manager of Women’s Innovation Fund Accelerator — WIF AX, LLC. — a qualified opportunity fund which mandates gender equality in its workplaces and projects’ C-suites.